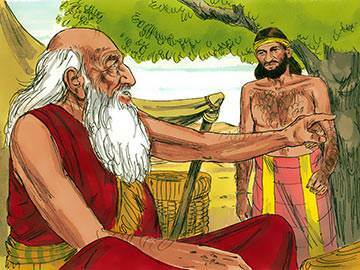 Eliezer was very proud to be sent on such an important errand for his master. Early the next morning he said good-bye to Abraham, and climbed on to the back of a camel. 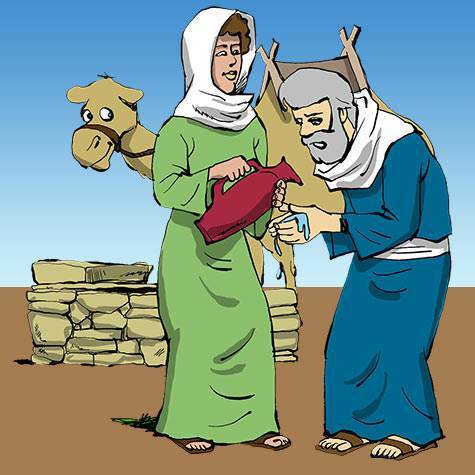 He had nine other camels loaded with food and water for the journey, and beautiful gifts for the bride and her parents. One evening, after many days’ travel across the hot sandy desert, Eliezer saw the houses and temples of the city of Ur in the distance. Just outside the city was a well, surrounded by trees. 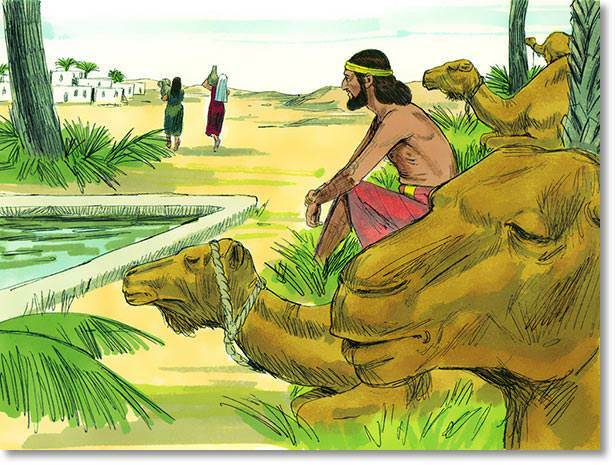 Eliezer made his camel kneel down there, and he climbed from its back. 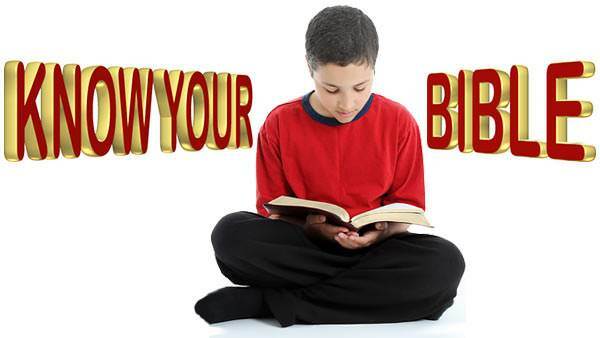 Kneeling down under one of the trees, Eliezer prayed to God to help him to choose the right wife for Isaac; then he sat down near the well to rest. Before long he saw a young girl coming out of the city to get water from the well. Eliezer was so tired and thirsty. 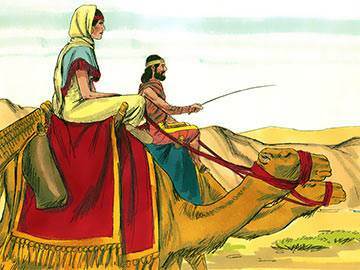 “I will ask her for a drink,” he thought, "and if she gives me a drink and offers to water my camels, then I will know that this is the girl that God has for Isaac." She emptied her pitcher into a trough and ran back to the well to refill it. Again and again she filled the trough until all the thirsty camels had finished drinking. Taking the gold bracelets and earring from a leather bag, he gave them to the girl and asked her name and whether he could stay at her mother’s house. 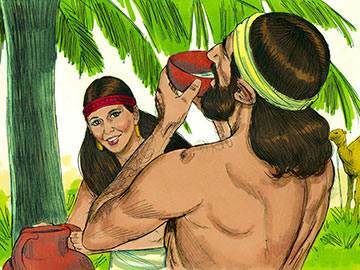 So Eliezer went with Rebekah to her home, and her mother and brother brought him food and drink. But Eliezer would not eat until he had delivered his message, and given Rebekah the beautiful presents he had brought. Then he asked her if she would go back with him to be Isaac’s wife. 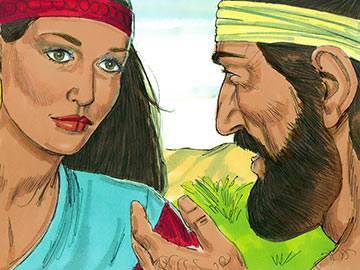 Rebekah promised to go with Eliezer, and the next morning they started on the long journey back to Canaan. It took many days, but at last they arrived one evening at the camp. 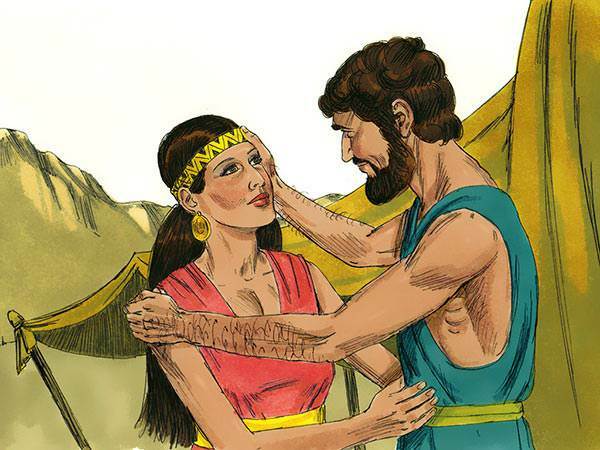 Isaac welcomed Rebekah gladly, and she became his wife and he loved her very much. 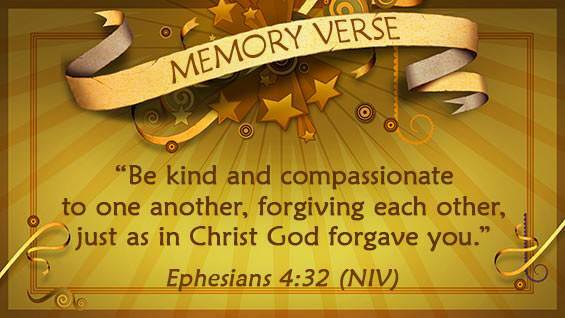 Eliezer was very happy, too, and thanked God for helping him in his search, and for bringing him safely back to his master.